Southwest offers courses leading to an Associate of Applied Science (A.A.S.) degree in Nursing; Generic Track and LPN Mobility Track. 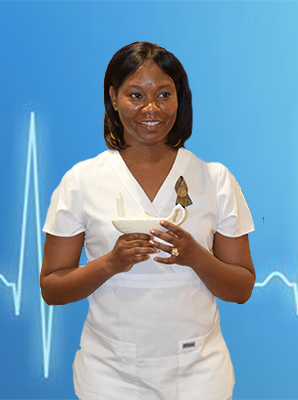 The Nursing Program is designed to prepare graduates for immediate licensure and employment. Graduates of this program are eligible to take the National Council Licensure Examination for Registered Nurses (NCLEX-RN). Persons who have been convicted of a crime other than a minor traffic violation could be ineligible for Registered Nurse Licensure in the State of Tennessee, even though they successfully complete the program. The Department of Nursing is accredited by the Accreditation Commission for Education in Nursing (ACEN) (opens new window). The Southwest Nursing Program is approved by the Tennessee Board of Nursing Department of Health (opens new window). To find out more about courses offered at Southwest, you can use our Interactive Course Schedule to see when and where a class is being offered. The Nursing Program is primarily taught on the Union Avenue Campus which is convenient to downtown and midtown Memphis. Applicants seeking admission to the Nursing Program at Southwest are required to submit results from the National League for Nursing (NLN) Examination as a part of the admissions process. Students admitted into any Allied Health or Nursing Program and expecting to have patient contact must present proof of protection against Hepatitis B before patient contact begins. Nursing, LPN Mobility Track A.A.S.